Doctors who wish to qualify for the Advanced Certificate of Clinical Procedures must complete three Advanced Workshops: Joint Puncture and Soft Tissue Injections, Non-Scalpel Vasectomy and Intrauterine Systems. All workshops can also be completed individually. The Professional Certificate will teach you a broad range of surgical procedures, local anaesthetic approaches, post-operative care, and various suturing techniques. 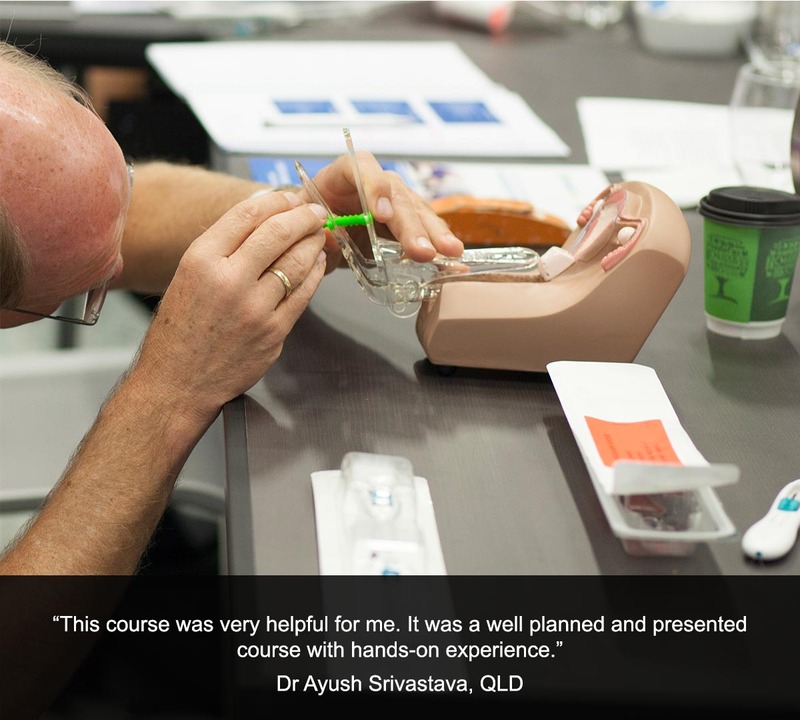 The one-day workshops cover highly sought-after services in primary care, and can be completed individually or as part of the Advanced Certificate of Clinical Procedures. The Advanced Certificate will consolidate your procedural knowledge and teach you the most advanced clinic-based procedures. 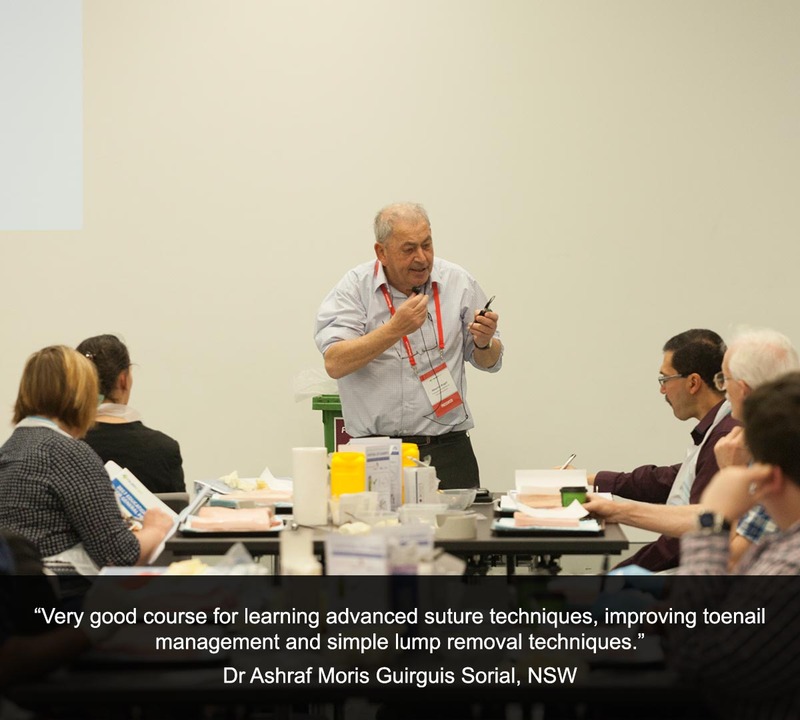 The certificate course consists of three Advanced Workshops covering highly sought-after services in primary care: Joint and Soft Tissue Injections (stage 1), Non-Scalpel Vasectomy (stage 2) and Intrauterine Systems (stage 3). The Professional Certificate of Clinical Procedures is for general practitioners and the nurses and dermal therapists who work under their supervision. The Advanced Certificate of Clinical Procedures is for general practitioners only. No previous formal training is required for the Professional Certificate course. Participants of the Advanced Certificate course must complete the Professional Certificate of Clinical Procedures and previous experience in clinical procedures is recommended. 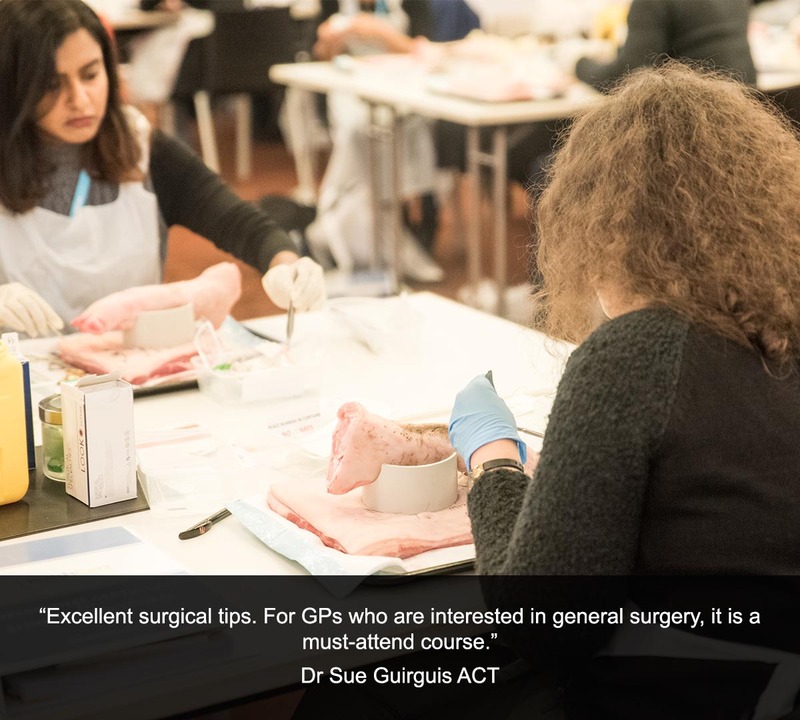 The certificate course consists of three Advanced Workshops covering highly sought-after services in primary care: Joint Puncture and Soft Tissue Injections (stage 1), Non-Scalpel Vasectomy (stage 2) and Intrauterine Systems (stage 3). All workshops can be completed individually or as part of the Advanced Certificate of Clinical Procedures. Associate Professor Maurice Brygel is a Melbourne general surgeon who is a pioneer in day surgery hernia repair, having performed over 10,000 hernia operations. He became known as the "hernia king" after establishing the Melbourne Hernia Clinic at Masada and Cabrini hospitals. Maurice also teaches hands-on surgical office skills, which led to him producing and presenting certificate courses in clinical procedures with HealthCert over the last five years. Maurice teaches at Notre Dame Medical School, Cabrini, the Alfred, and the Royal Australian College of Surgeons. 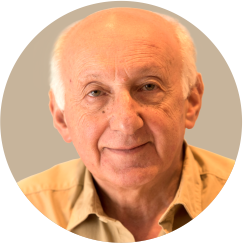 Maurice has published extensively on hernias and authored several multimedia books including “The Video Book of Surgery” and “Exploring Essential Surgery” with the Mcgraw Hill Access Surgery and Medicine. 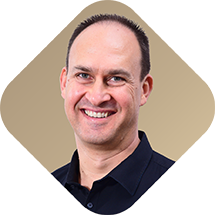 Dr Gerard Ahern is a clinical anatomist teaching at undergraduate, graduate, postgraduate and specialist levels at multiple universities and specialist colleges. Gerard is Final Year & GP Coordinator, Senior Lecturer and Clinical Anatomist (University of Notre Dame), Honorary Senior Fellow in Anatomy (University of Melbourne), Member Board of Examiners (Royal Australian and New Zealand College of Radiologists), Honorary Associate Professor (Oceania University), Tutor and Lecturer (Royal Australasian College of Surgeons) and co-author of the best-selling book 'General Anatomy'. He has also co-authored many electronic programs on various areas of medicine. Dr Nelum Dharmapriya was born in Sri Lanka. 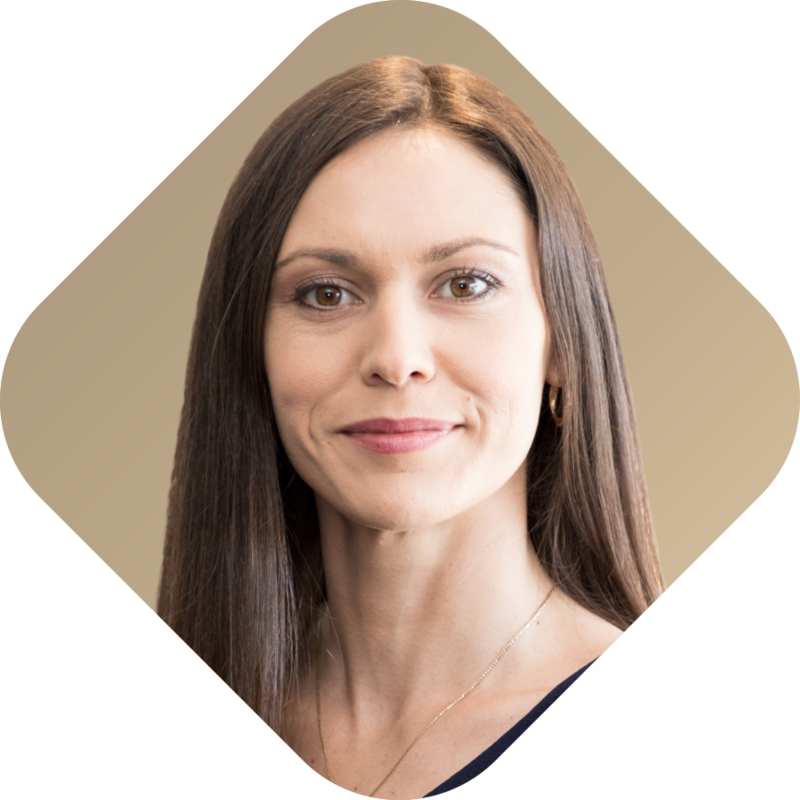 She graduated from the University of Aberdeen, UK, in 1995 and was a partner at Heaton Norris Medical Centre in Stockport, UK, for seven years. Nelum arrived in Australia in 2009 and established Narangba Doctors in 2012. She is married with two teenage boys and loves to spend time outdoors – running, cycling, travelling and reading. 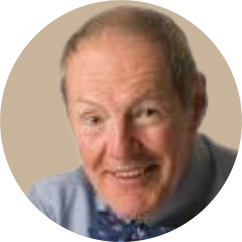 Dr Peter Milne originally trained in general surgery but has specialised in vascular surgery since 1977. Peter was trained in Cardiovascular Surgery at the Methodist Hospital, Houston, Texas and in Vascular Surgery at Royal Melbourne and Epsom District Hospitals. He established the Melbourne Vascular Surgery Unit in 1985. 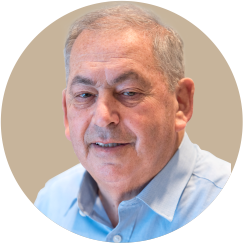 Peter’s expertise and special interests include aneurysm repair by open surgery and endovascular means, and carotid surgery for stroke prevention with carotid artery stenting. He also performs limb bypass surgery as well as minimally invasive techniques of angioplasty and stenting. Another speciality of Peter’s is varicose vein treatment by surgery, laser and sclerotherapy including embolisation for pelvic congestion. Dr Peter Grossberg is a graduate of the University of Melbourne and has a Fellowship from the Royal Australasian College of Surgeons and the American College of Surgeons. 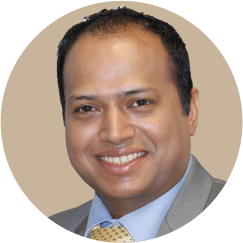 He practices as a general surgeon and an Endoscopist in Cabrini Hospital, Malvern with extensive experience in general surgery, endoscopy, and laparoscopic surgery especially laparoscopic hernia surgery. 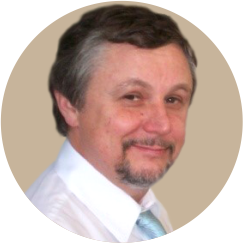 Peter has been an examiner in surgical education at the undergraduate and postgraduate level for the past 35 years. 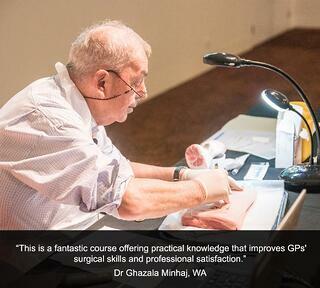 He runs workshops for surgical trainees and GPs, particularly in office procedures. 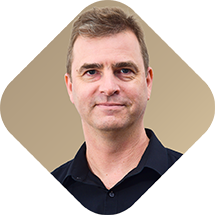 Peter has been a senior lecturer in surgery at Monash and Melbourne Universities and continues to be involved in teaching and examination at the postgraduate level for anatomy at the University of Melbourne. He has been a Senior Surgeon, Head of Unit and Chairman of the Division of Surgery at Boxx Hill Hospital for the past eight years. Dr Raj Selvarajan is a Fellow of the Royal Australian College of General Practitioners, a Member of the Royal College of General Practitioners, and a Member of the Royal College of Surgeons of Edinburgh. Following his training in non-scalpel vasectomy, Raj established No Scalpel Vasectomy Service in north-eastern England in 2007. He subsequently led a non-profit social enterprise organisation, NECHN, and set up non-scalpel vasectomy clinics in Tamworth, Midlands, UK and Leicester City, UK. As an experienced vasectomist, Raj peer-reviewed other non-scalpel vasectomy services in the UK. 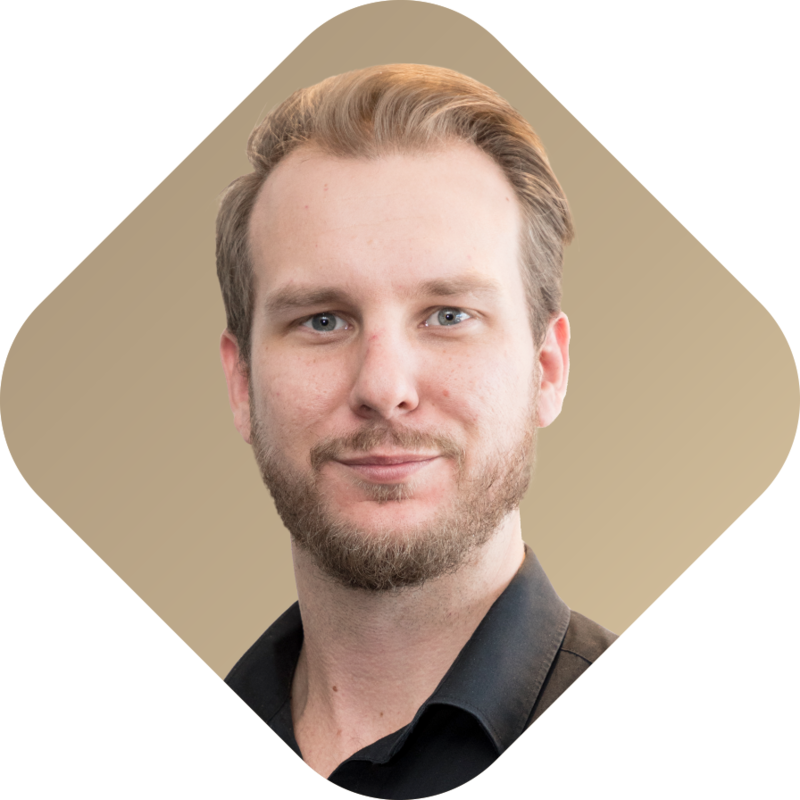 Specialising and innovating the scalpel free vasectomy technique, he is the lead trainer in Australia and operates Scalpel Free Vasectomy clinics in Brisbane and Mackay. Register 30 days prior to the course commencement date. Defer your payments over several months. GP REGISTRARS: Doctors in training who are on a recognised pathway to General Practice Registration through a recognised training provider receive a HealthCert Scholarship of $500. FEES INCLUDE: The fees include the Advanced Workshops in Joint Puncture and Soft Tissue Injections, Non-Scalpel Vasectomy and Intrauterine Procedures. GP REGISTRARS: Doctors in training who are on a recognised pathway to General Practice Registration through a recognised Australian training provider receive a HealthCert Scholarship of $300. The certificate courses are delivered face-to-face in a small group setting with experienced clinicians and consist of highly practical sessions with supporting theory. Participants are required to complete short pre-course activities and post-course online assessments. All courses include a digital workbook with all presentation slides, tools and consumables for the practical sessions, and access to additional learning resources, reference materials and video lectures. 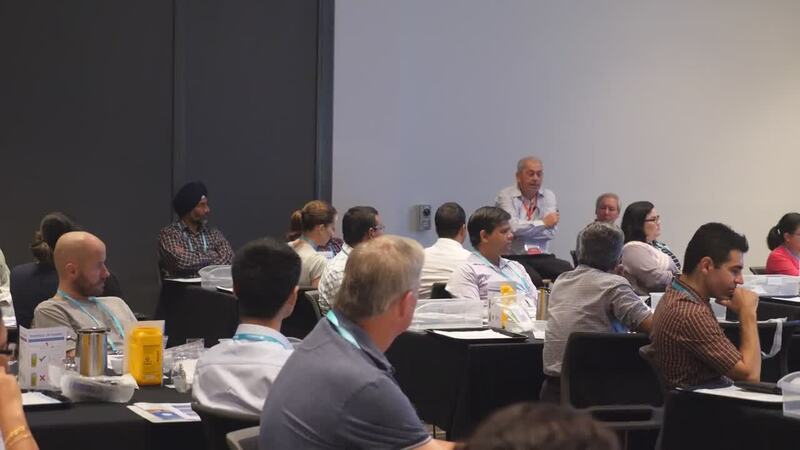 You will also gain access to regular online learning sessions with the speakers and have the opportunity to ask any questions you may have as you implement your learning. In order to meet the requirements of professional and academic learning, the course assessment includes professional requirements and two online examinations. HealthCert recommends completion of all requirements at your convenience within three months of the completion of the course. 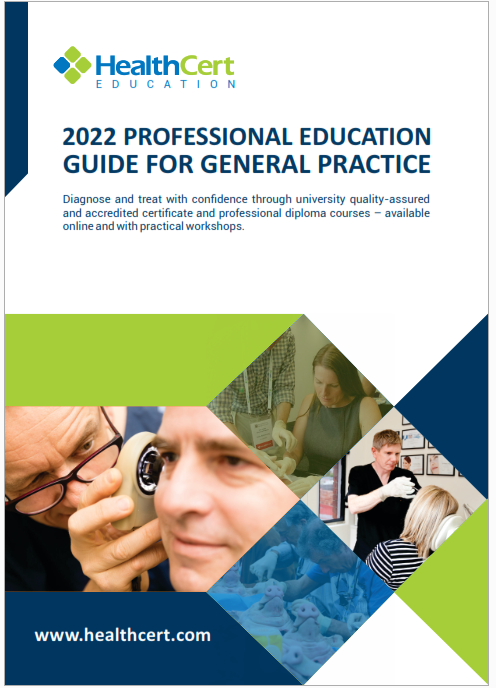 Provides CPD points from the Royal Australian College of General Practitioners (RACGP). Provides PRPD points from the Australian Council of Rural and Remote Medicine (ACRRM). Is recognised by the Royal New Zealand College of General Practitioners (RNZCGP). endorsed by the RACGP. Points are calculated differently. Is a self-submitted activity in Dubai. The number of CPD points must be stated on the certificate. Please contact PLD@dhcr.gov.ae for more information. Is a self-submitted activity in the UK. CPD events overseas, applicable to a doctor’s scope of practice, may be submitted for revalidation. Please confirm with your Responsible Officer. Is a self-submitted activity in Canada through the College of Family Physicians of Canada. Category 1 points are reported as certified and Category 2 points are reported as non-certified. Contact mainprocredits@cfpc.ca for more information. Meets World Federation of Medical Education standards. Is quality-assured by Bond University (Professional Certificate only). Qualifies for Clinical Attachment in France at the University of Lyon (Professional Certificate only). Qualifies for Clinical Attachment in Austria at the University of Vienna (Professional Certificate only). Qualifies for Clinical Attachment in Intrauterine Systems (Advanced Certificate only). Has been independently developed with subject specialists and does not receive education grants from any pharmaceutical company. Postgraduate Diploma in Minor Surgery studied through the Rila Institute of Health Sciences and awarded by the University of Plymouth (UK). There are three modules in the Postgraduate Diploma. 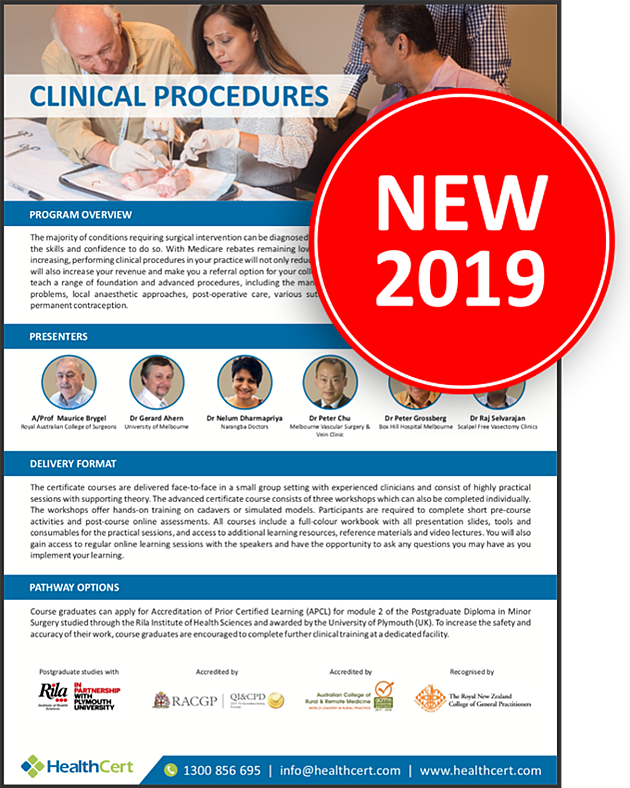 Medical professionals who successfully complete the HealthCert Professional Certificate of Clinical Procedures and the Advanced Certificate of Clinical Procedures will be eligible to apply for Accreditation of Prior Certified Learning (APCL) for module 2. The Postgraduate Diploma is mainly delivered online. No practical workshops will be required due to the APCL from the HealthCert qualifications. Overall there will be a time saving of 40 per cent of the postgraduate program due to the APCL. Exams will be held in Perth, Western Australia. When the Postgraduate Diploma has been successfully completed, doctors can apply for credit from the Postgraduate Diploma to the Master of Science in the specialism awarded by the University of Plymouth. Upcoming intake dates are 6 February 2019 and 24 September 2019. For more information please click here. Clinical Attachments are optional and available on a 1:1 basis. These provide the opportunity to observe clinical procedures and ask questions of the expert performing the procedures. Clinical Attachments are available for Skin Cancer Surgery (only for graduates of the Professional Certificate of Clinical Procedures). These are available in Australia and overseas. The clinical attachments are 1:1 in Australia and they are in small groups at university teaching hospitals and clinics overseas. 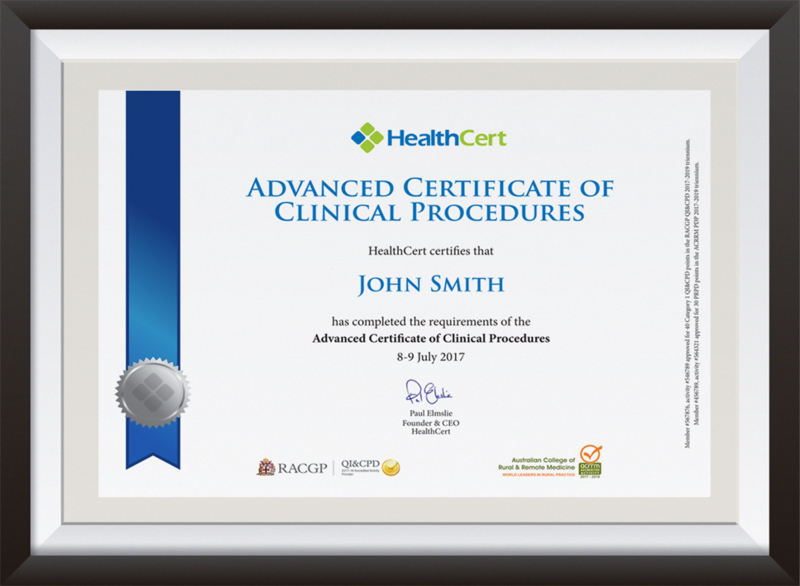 HealthCert certificates and university statements are awarded for participating in clinical attachments. The courses provide valuable experience and practical knowledge for any GP who encounters common skin and joint pathologies in daily practice. Expert teaching on models will enhance their skills and make them adept at dealing with common skin lesions, lacerations, lipomas, sebaceous cysts with good surgical outcomes. Great quality of knowledge and teaching. Excellent explanations of surgical skills. Brilliant lecturers, excellent demonstrations. The courses are taught by highly knowledgable speakers who are approachable and keen to share knowledge to assist your practical skills. The course is really informative and there is plenty of time to practice. 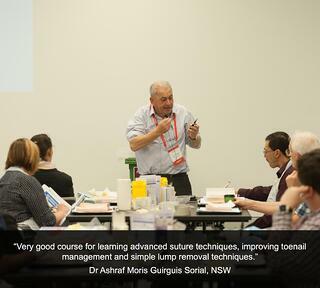 A practical-based course that allows time for plenty of suturing practice to promote confidence in wound closure. This is the only course I know of to cover so many practical GP things, especially lumps and bumps and toenails, in a very practical and hands-on way with great presenters. Very happy that I attended. Thanks! Wonderful course, very relevant to everyday practice! This is a fantastic course offering practical knowledge that improves GPs' surgical skills and professional satisfaction. 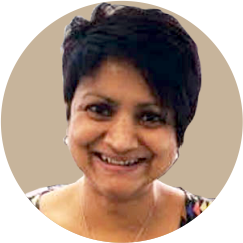 I am constantly seeking to improve my knowledge and skills as a GP and HealthCert helped me greatly to achieve this goal. I can highly recommend this course. It was a highly practical and well organised program. The procedures were thoroughly discussed and very useful for improving certain practical skills and applicable in daily practice, and there was plenty of opportunity to practice the skills taught. This is a great, practical course featuring hands-on learning with experienced, knowledgeable presenters who have a lot of practical experience. This course met all my expectations and improved my confidence. 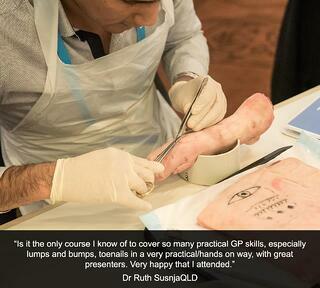 It offered good, clear knowledge and great hands-on practice and guidance. I highly recommend this program. HealthCert is committed to providing top-quality education, and to make sure this happens, we back all our courses with a unique Double Guarantee. If you are not able to apply the course learning outcomes in your practice, get in touch with us within 90 days of course completion and you can attend the course again at no cost. If you are not satisfied with the course, simply hand in your course materials at the end of day one and we will provide you with a 100% refund. HealthCert certificate course graduates can receive access to Anatomedia, an interactive online learning program in anatomy, for an annual fee of $99 instead of $297 if subscribed by 31 December 2019. The complete self-learning resource teaches anatomy of the body and contains videos of various surgical procedures. If you qualify, please contact us to receive the special access code. Please don't hesitate to get in touch with one of our Education Advisors if you have any questions, require more information or would like to discuss your learning requirements. We are here to help and will be sure to tailor your education pathway to your current expertise, interests and career goals.